Although he never lived in Alexandria, he had read all the books. As a young man, he visited enough of the Levant to think he knew what to expect, and concocted the rest from Cavafy, Forster, Durrell and Pynchon. Sitting outside a café in the port of Paros he fell into conversation with a specialist in unforeseen events and together they dreamed up a delivery of illicit merchandise from Lebanon to Piraeus, with a storage facility on Cyprus. His interlocutor, a Russian who in former times had skippered a cruise liner, ordered champagne. It started to grow dark. Was it there, or somewhere else, that he decided he was never happier than in an island port, as the sun goes down? Later, when he was the international figure of intrigue he was destined to become, he finally visited the city he had fantasized about so many years before. His disappointment was both intense and contradictory. Suffering suicidal thoughts, he experienced an epiphany: it was not Alexandria he was looking for, but another city, a place that he would have to invent. This almost came as a relief. For a long time, while I was tramping around southern Europe, escaping the collective embarrassment that was Britain in the 1980s, I carried with me the poems of CP Cavafy. Other books I picked up and discarded along the way, but Cavafy, in one edition or another, stayed with me for much of the decade. I forget the precise circumstances that led to me making this choice, but most likely it was not a choice at all; I suspect the book was dropped into my bag by a passing sprite, concerned for the welfare of an ephebe like myself, setting out into solitary exile to learn, among other things, the road of excess and the skills of guile and trickery. It would suit my story if this were the case, but the truth is I had been reading Cavafy since I was sixteen, and once he had become a staple of my travels, I didn’t feel properly equipped without him. A slim volume, joined during those early years by Borges’ Fictions and Calvino’s Invisible Cities. These three books had three things in common: they were all small-scale and dense; they all subverted familiar stylistic mannerisms; and they were all conceived in the element of mercury. One thing I didn’t know then was that forty years later I would still be reading Cavafy, with more curiosity than ever. If we are lucky, we get the writers we deserve, and at the right time of life. Reading Cavafy at a young age nurtured in me the then enthralling (but now merely fashionable) notion that time is not a linear construct, but rather resembles a shifting, mutable state in which past and present might be accessed simultaneously. Cavafy’s poetry, as Patrick Leigh Fermor once wrote, skilfully interweaves time and myth and reality, allowing for a particular kind of mutability, an ability to flit between perceptive modes that, once grasped, will stay with the reader always. If that sounds grandiose, I would like to clarify: there is no distinction in these poems – I would like to say in life, also – between what is imagined and the literal or mechanistic world of everyday understanding, and we must appreciate that this is essential to a proper appraisal of Cavafy. There is no point in conceding to the sordid demand for what ‘really happened’, claiming that any other version is a fantasy or a dream, and that reality is ‘out there’, the other side of the window, any more than one can discern, in Cavafy’s work, between the literal Alexandria and the one held in his imagination. In Cavafy’s poetic world the two are one and they merge, diverge and re-converge continually. When I was eighteen I spent a summer living in an abandoned shepherd’s hut on a hillside overlooking the Libyan sea in southern Crete, near the tiny village of Keratokambos. Reading outside one evening, I heard an exchange of voices. In the near distance, some way above me, a man and a woman were calling to each other, each voice lifting with a strange and powerful vibrancy across the gorge that lay between one flank of the mountain and the next. Only the nearer figure, the man, was visible, and his voice seemed to rebound off the wall of a chasm, half a mile away. The woman remained out of sight, but her voice likewise drifted across the gorge, with crystalline clarity. There were perhaps a dozen exchanges: and then silence. I listened, spellbound. And that brief exchange, that shouted conversation, with its strange sounds, the tension between the voices, the exhalations and long vowels echoing off the sides of the mountain, would haunt me for years, haunts me still. They seemed to me to be speaking across time, that man and woman. Their ancestors, or possibly they themselves, had been having that conversation, exchanging those same sounds, for millennia. It was, for me, a lesson in the durability of human culture and at the same time, the incredible fragility of our lives; the conversation, the calling across the chasm, represented our ultimately solitary and unique chance at communication with a presence beyond ourselves. It was the vocal correlative of a strange sensation that I had experienced since first arriving in Crete: everywhere I went I was walking on bones, walking on the bones of the dead; and now I was hearing the echo of their voices as well. Here, the ‘young ethereal figure’ is surely Hermes. He is, after all, the winged god, and the god of transition and boundaries, and therefore more than likely to be seen at dawn, in the breach between night and day. Perhaps the Hermes association is personal, owing to the fact that in my experience, Hermes, god of travellers, was almost always the one who came to sort out the mess after Dionysos had wreaked his havoc. It seems likely, according to Daniel Mendelsohn’s wonderfully thorough notes that Cavafy, too, was thinking of Hermes, although I did not know this when I first read the poem. don’t degrade yourself with empty hopes like these . . . It is this self-degradation with false hopes, this yearning for the sacred centre, the object of desire that can never be attained, the love that will never be requited, which makes of all of us an Anthony. Whenever one thinks one has arrived at one’s destination, then will be the time to move on. There is no way of making peace with any objective, real or imagined, until one has first made peace with oneself, and the process is self-perpetuating, and the cities mount up. ‘The more you travel’ as the Turkish poet Adnan Özer writes, ‘the more cities you will find within yourself’. So, the second thing I learned from Cavafy was that the city is a cypher for the self, reflecting our fragmented or multiple selves. We know that Cavafy is speaking of Alexandria, but we also know that the city is a state of mind – one’s personal predicament, and the human predicament also – from which we can never be free. Plenty of time to enjoy himself. theatres, garden-parties, stadiums . . .
evenings in the cities of Achaia . . .
and, above all, the delight of naked bodies . . .
Galba, now in his seventy-third year. At a superficial reading, the conceited, megalomaniac Nero, cosseted by the apparently safe verdict of the oracle, is undone by his comprehensive misunderstanding of its hidden message. But as Mendelssohn points out, the poem does more than make fun of Nero’s self-satisfied complacency, it puts forward Galba as the avenging hero, come from obscurity in his old age to save Rome. However, Galba, in turn, was a disaster for Rome, his greed and lack of judgement causing him to be murdered seven months after his accession as Emperor, on the orders of Marcus Salvius Otho, a fellow-conspirator against Nero. (Otho, incidentally, lasted only three months as Emperor before stabbing himself in the heart). ‘Nero’s deadline’ offers a cinematic vignette of power’s corrupting influence. And by omitting Galba’s own downfall – assuming, as he so often does, that the interested reader, if curious enough, will find out – Cavafy adds a layer of hidden significance to a piece that already works as a denunciation of grandiosity and hubris. The poem reveals betrayal lying beneath betrayal, all of it stemming from overreaching and a smug belief in one’s own achievements, only for each incumbent to meet with a grisly end. I wanted to write this essay in order to find out why Cavafy has held such a longstanding fascination for me as a reader (and therefore as a writer, since the two activities are composite: we read, at least in part, in order to learn, or to steal). I have discussed three things that are particularly important in my own understanding of his work. But there is something else, greater than the sum of its parts, which asserts this man’s comprehensive poetic vision. Cavafy was a poet who, throughout his life, was – in Seferis’ words – “constantly discovering things that are new and very valuable”. It may be that this capacity for discovery, a reflexivity regarding his personal as well as a collective Hellenic past, his subtly revelatory intelligence, are somehow transmitted onward, and we, as readers, are infected by his own enthusiasms. “He left us with the bitter curiosity that we feel about a man who has been lost to us in the prime of life,” wrote Seferis. This is not simply on account of his relatively small output, but because of its seeming unity of construction and purpose, its sense of unfulfilled possibility, and the poet’s curiosity at being in a world in which past and present merge in an invisible procession. Translations from the Greek are by Edmund Keeley & Philip Sherrard in C.P. Cavafy: Collected Poems, Chatto & Windus, 1990. The references to Daniel Mendelssohn concern the notes to his own translations in C.P. Cavafy: Complete Poems, Harper Press, 2013. First published as ‘An Invisible Procession: How reading Cavafy changed my life’, in Poetry Review, 103:3 Autumn 2013. This has been Turkish week, but also – and with a synchronicity that pleases me very much – Greek week. The London Book Fair had Turkey as its ‘Market Focus’ and two expeditionary groups of Turkish writers descended on the city of Cardiff (whose football team, it will be noted, are playing in the Premier League next season). Meanwhile, I have been immersed in the work of the Greek poet, C.P Cavafy, whose 150th anniversary we celebrate this year. 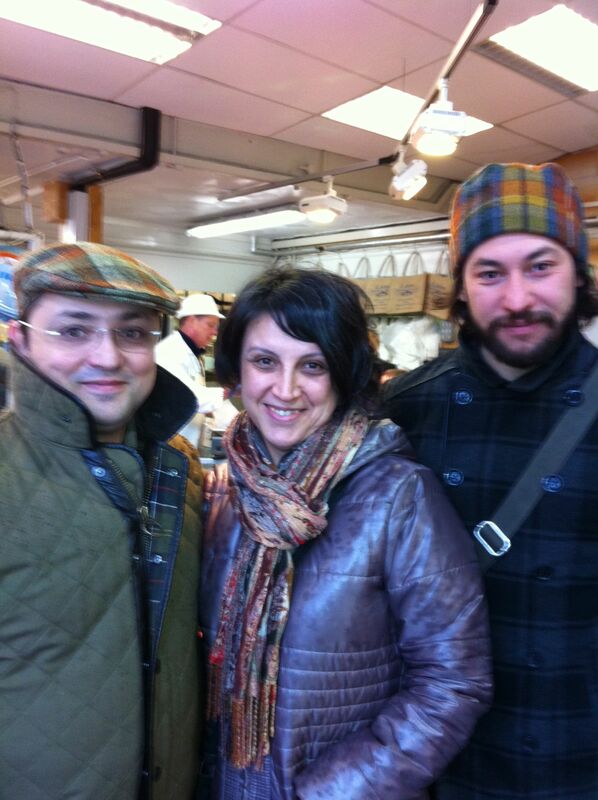 The first group of visitors were poets, three of whom I have been involved in translating. 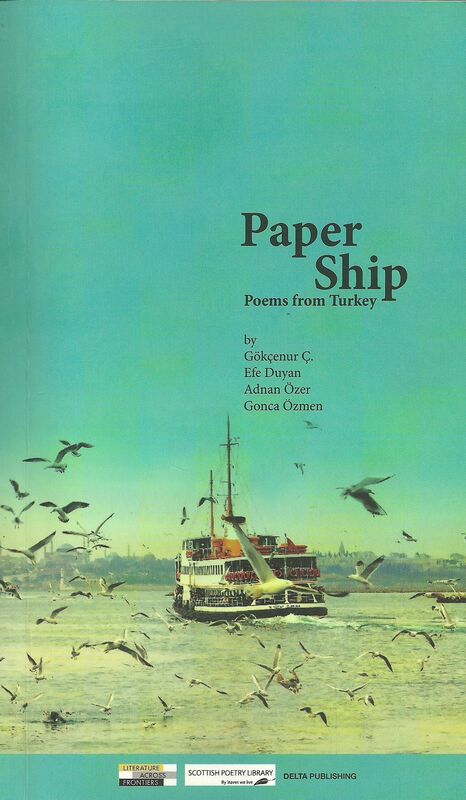 They are Gökçenur Ç, Efe Duyan, Adnan Özer and Gonca Özmen (the illustration above shows the cover of a booklet of their work, produced by Literature Across Frontiers, The Scottish Poetry Library and Delta Publishing). After an unforgettable lunch (which deserves a post of its own), the poets were joined by fellow-translator Zoë Skoulding and Literature Across Frontiers director Alexandra Büchler for an evening of poetry and conversation at Coffee a Gogo, just across from the national museum of Wales. 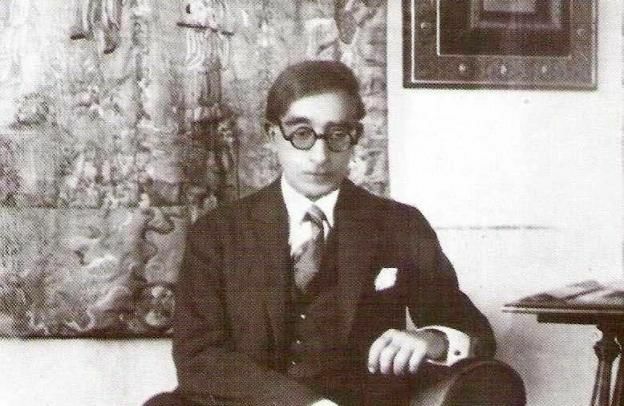 Which had led me to ask its author, Adnan Özer, how well he knew the work of Cavafy, a writer of whom I have been a fan, no, a devotee, since my mid-teens. 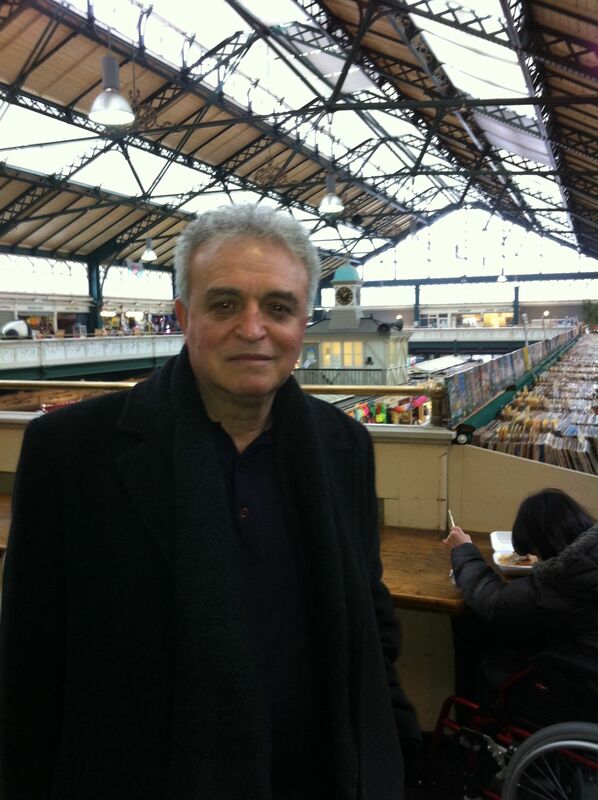 Adnan told me that he admired Cavafy’s work, but that he was not a major influence, apart from in that particular poem. And it seems here, as in Adnan’s paraphrase, that the city is a cypher for the self, reflecting our fragmented or multiple selves. We know that Cavafy is speaking of his own beloved Alexandria, but we also know that the city here is a state of mind, one’s personal predicament – and the human predicament also – from which one can never shake free. 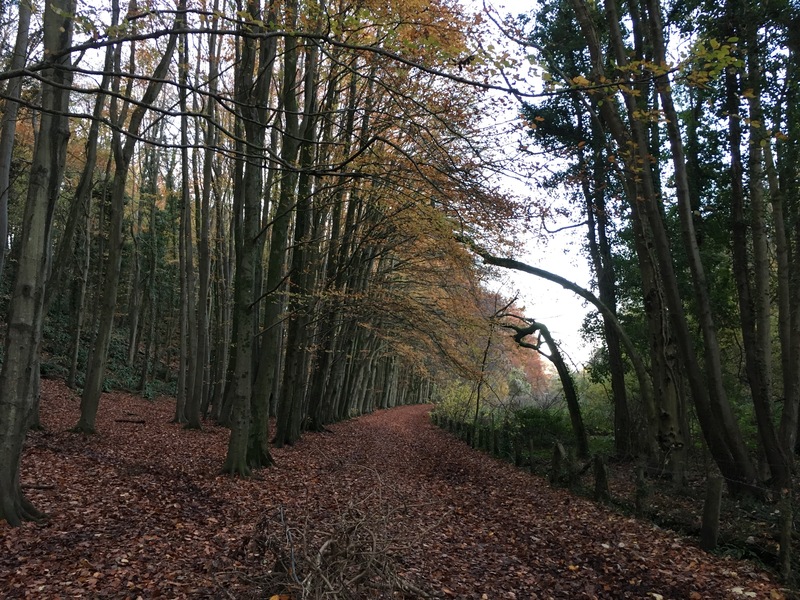 At the same time as being surrounded by a crowd, we are all ultimately alone (in the city, as elsewhere), despite the onslaught of synthetic familiarisation on offer from substitute communities such as Facebook and Twitter. On which theme, I was interested to read, in Russell Brand’s Guardian piece that he singles out one La Thatcher’s most devastating legacies in precisely this area. In the quest for personal advancement at all costs, in the elevation of blind greed as the most praiseworthy and rewarding of human qualities, we are almost duty bound to ignore the needs of those we share the world with. As her loathsome sidekick Norman Tebbit said, in reference to the defeat of the mineworkers’ union:“We didn’t just break the strike, we broke the spell.” The spell he was referring to (writes Brand) is the unseen bond that connects us all and prevents us from being subjugated by tyranny. The spell of community. And if that all seems a bit random, Turkish week at LBF>Cardiff City Football Club>Turkish poets>Famous Greek Poet>living in the city>Thatcherism and its legacy – then please forgive me. It does connect, I promise. And if it doesn’t, well, like I said once before . . . blogging is a way of thinking out loud.